A group of scientists reviewed hundreds of research studies from around the world and then made a list of happiness – and their list makes very surprising reading. All studies show that married couples are happier than single people. People who have large families and lots of close friends are usually happier than the people who have a lot of money but live on their own. Attractive people believe they’re very happy. 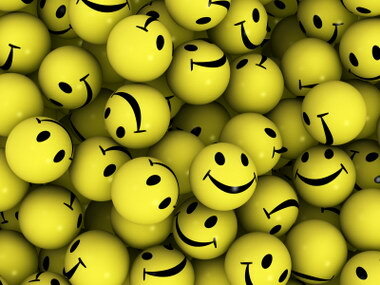 Studies also show that old people are happy as often as young people and unhappy less often. Money. When you’re poor, money can get you some happiness. However, when people have enough money to live comfortably, more money doesn’t make them happier. And towards the end, people who expect to have a successful career, lots of money and the perfect relationships aren’t as happy as people who accept what they’ve got.